While visiting the Big South Fork National River and Recreation Area I came across an amazing setting while on the 6.4 mile Blue Heron Loop Hike. I’d been hiking for a while and suddenly popped out of the woods into a developed area. 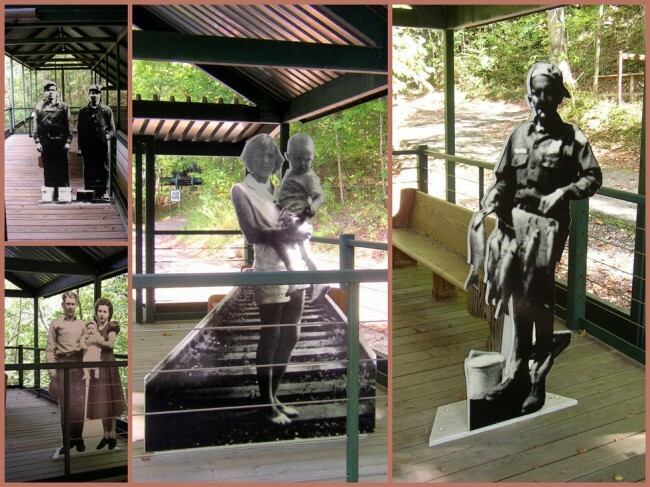 I found myself on the edge of a “ghost town” created by the National Park Service to honor the lives of the people who had lived in the Blue Heron mining community. When reading about his area on the Internet prior to my visit to Blue Heron, I originally thought the ghost town concept was somewhat lame. Simply stated, I was wrong. This place really tugs at the soul, drawing you back in time. 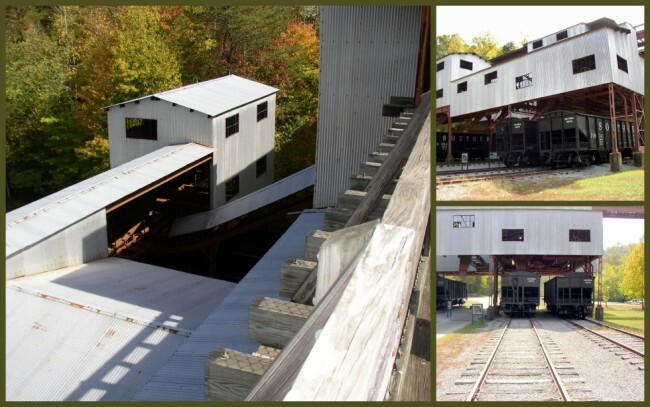 The Blue Heron mine (Mine 18 as it was officially named) operated from 1937 until 1962 and was owned and operated by the Stearns Coal and Lumber Company. The tipple and bridge have been called “the heart” of the operation. According to published reports, they cost $250,000 to construct back in the 1930’s. Coal coming from the mine was taken to the tipple where it was unloaded onto a 120-ton “hopper”. From here, the coal was moved on a 76-foot conveyer belt called an “apron feeder”. The smaller rocks went over a series of shakers & screens which sorted the mineral based on size and usage. The larger chunks went into a crusher for sorting at a later time. Once properly divided, the stone was loaded onto railroad cars to be taken to market. Coal that was too small to be categorized was called “carbon coal” and was of little use. All other material (tailings) was used for other applications such as ballast or road & rail bed construction. 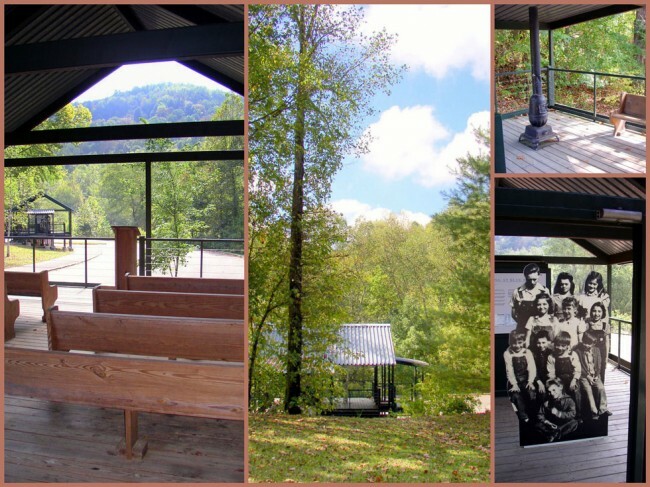 Life in Blue Heron was typical of many Appalachian coal mining communities. 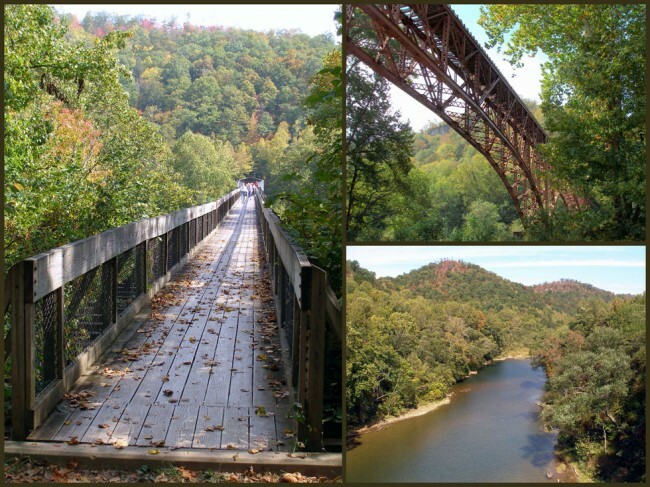 The small, isolated community was located on the bank of the Big South Fork River, in the hills & “hollers” of southeastern Kentucky. The town offered a company store, schoolhouse, church and its own special brand of entertainment. The original store structure at Blue Heron was a tool shed which took on a life of its own. It eventually hosted a Post Office and time keeper’s office. 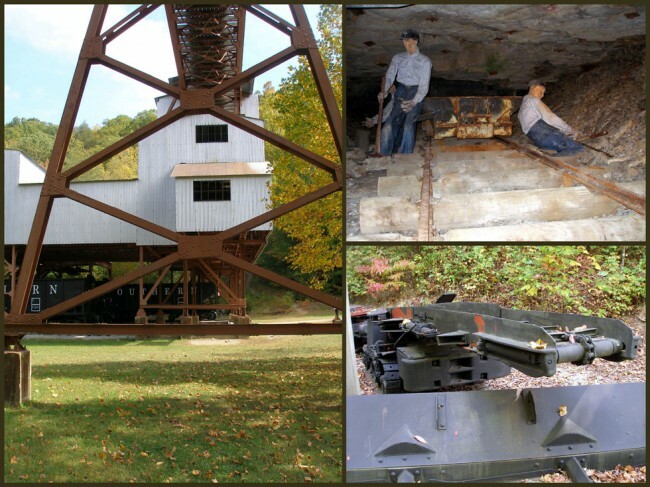 It was here that the miners would be paid with ‘script” for their labor. This was the Wal-Mart of Blue Heron, offering everything for the mine and household. You could buy: clothing, groceries, knives, fishing poles, guns and ammunition and just about anything else you could imagine. For entertainment in this out-of-the way place, you’d find the local church and schoolhouse pivotal in the social life of the town. Church Meetings were held several times a week. The congregation met on Saturday night for business meetings, Sunday for worship & Sunday school and Wednesday night for prayer meetings. All preachers had to be “called” to preach. A gospel group, the Blue Heron Quartet found some local notoriety by performing on a Somerset radio station, with their program being sponsored by a flour company. The Company had an annual picnic, and the occasional carnival would come to town. Pie suppers served as both fund-raisers and the chance for beaus to court their favorite girl. The high bidder on any pie had the honor of eating it with the girl who made it. The prettiest and/or most-popular girl could get up to $30 for her pie. Life in Blue Heron was simple by today’s standards. Most of the residents stated that they could remember: their first ice cream cone, their first trip to “town” (Stearns) and even the first motion picture they ever saw. Some of the “old timers” could even tell you about the first automobile they saw. 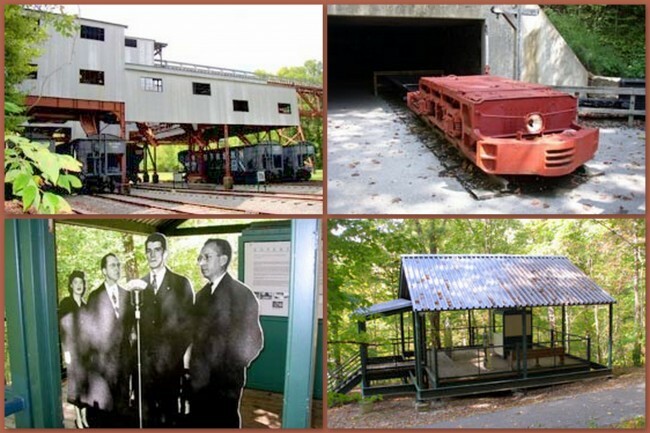 You can access the Blue Heron Mining Community by either hiking in the way I did, drive you car or you can catch a ride on the historic Stearns Railroad. However you choose, make some time to explore this wonderful and intriguing place. Last modified on: January 14th 2015.